Yadah IFUNANYA – Yadah (kingborn), Abuja based singer and song writer who prides in calling herself the “voice of Jesus to nations” starts off the year with the release of widely received song IFUNANYA for free download to celebrate her birthday. IFUNANYA which is the fourth track off her previously release EP “The Blood Covenant” is a love song in Igbo figuratively meaning “my love”. “this song explains the inseparable love we share with the father. Everyone walks away when the conditions are not met, when expectations are cut short, but God stays forever. He is faithful. He has sworn an oath by Himself to love us forever, having paid the price beforehand. Agaga Praise Kukeurim (Yadah) was born in Amana, Cross River state, Nigeria. 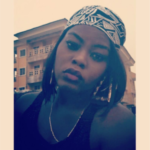 Managed by SonsHub Media, Yadah started off her music career in Abuja with the release of her debut “Goodie Goodie” in 2017. She had previously released several great songs off her “The Blood Covenant EP” which was released on 20th September 2018, commemorated by an unforgettable concert which was graced by great music ministers, pastors and supporters. Yadah is working on her official album slated for future release.